A Dad's Day Tribute That Brought a Tear. I'm an impossible softie when it comes to the subject of emotional attachments between parents and their kids. And this daughterly tribute to her late dad is easily the most touching thing I read in the lead up to dad's day. It's a great reminder of how it's the small things we do and say that really form our legacy, sometimes even years after we're gone. And that goes triple for parents. A Dip Into the Mail Bag. 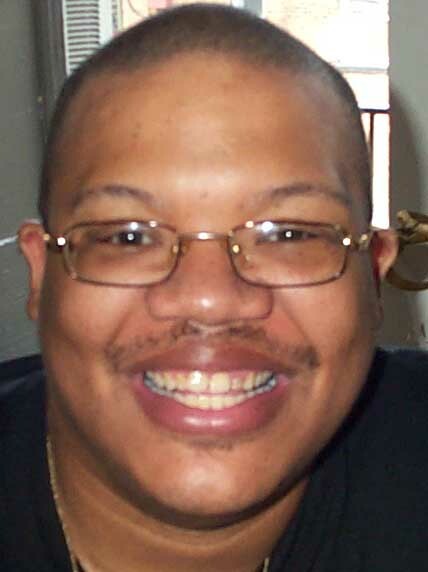 My friend Clarence Meriweather (seen here with signature broad smile) sent along the following email last week: "I know you probably don't do this kind of thing but could you please mention the passing of Ralph Wiley in your blog? He was one of my favorite contemporary writers and I'd just liketo see him get some Cleveland Love." Well, of course we do that kind of thing, Clarence. Only problem was, I had never heard of Ralph. But a quiz of Clarence and a google search yielded the information that he's a longtime sportswriter for Sports Illustrated and then ESPN. You can check out his ESPN story archive here. After reading over his work, I'd have to agree that we've lost a giant. But at least we still have the multi-talented Clarence, who's art director for and a co-founder of the interesting monthly pub Urban Dialect. And in his spare time, he cranks out beautiful cover designs for regionally themed books by Gray & Co., including the recent book on Lebron James by Akron Beacon Journal's David Lee Morgan. And from Dallas, comes an email from another reader, my former journalism colleague Bill Hoffman. He helpfully parses the lazily constructed item I wrote on June 11th about Neil Gabler and Marshall McLuhan and Gabler's calling the Internet "the knowing machine." He asks if I agree with McLuhan (that technology determines culture) or Gabler (who believes it's the other way around). I told him I'm going to have to think a little more about that. But the short answer is that while it's long been in McLuhan's favor, we are beginning to get smarter, and adapt technology to what we need it to do, rather than simply climbing aboard the latest tech gizmo. Or at least some of us. He also notes, appropos of my quote last week about how we'd have another New Deal if Americans voted in the same numbers as then, that most of the research he's ever seen suggests that contemporary non-voters break down approximately along the same partisan lines as do voters. Anyway, thanks for the mail, fellas.